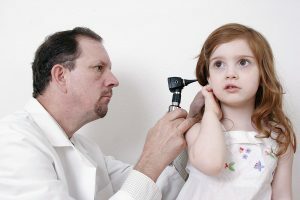 Patients who require ear infection treatment don’t want to wait days for an appointment with their primary care physician. And, with Davam Urgent Care just a short drive away for the residents of The Woodlands, Texas, they won’t have to. We offer convenient, comprehensive care for patients who are dealing with non-life-threatening medical conditions, and all of our patients are seen by a board-certified provider with extensive experience providing top-quality care. Visiting Davam Urgent Care in The Woodlands, TX, instead of the emergency room for ear infection treatment is a great idea for many reasons. First and foremost, we accept most insurance plans and offer straightforward pricing, so our care is typically far more affordable. Secondly, you won’t have to waste hours of your day waiting to see a doctor. At our office, there is normally little-to-no wait time, and we even offer a online check-in system that allows you to get in line from home. Plus, we offer in-house diagnostic tests, which prevents our patients from having to keep appointments at multiple facilities to receive a diagnosis and corresponding treatment. For ear infection treatment from highly trained and experienced physicians who truly care about your wellbeing, visit Davam Urgent Care in The Woodlands, TX, today.